Cotinus is commonly called Smoke Bush, it’s a garden shrub and I was lucky to get hold of a big one that was damaged by storms earlier this year. Also called Venetian Sumac it is very yellow when fresh cut and was once used as a yellow dye. It dries though to a lovely golden honey colour with striking darker growth rings. I’m not likely to get any more in the near future and these are the last I’ll have for sale until who knows when. Grab ’em while you can. Cotinus is also known as Smoke Bush or Venetian Sumac. 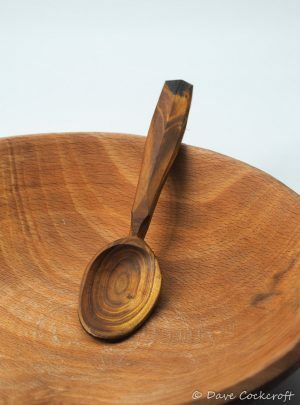 A a cranky symmetrical bowl eating spoon from a bent piece of cotinus. The asymetric handle features large (but solid) knot. I had limited supply of Cotinus, they’re all either sold or for sale on this site – when they’re gone they’re gone. 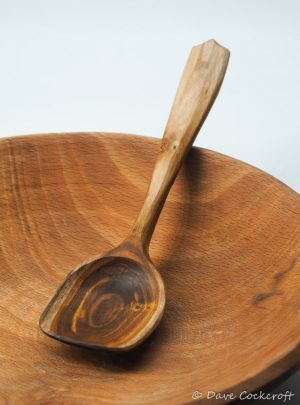 A slender eating spoon with plenty of crank from a bent section of cotinus with an ebonised handle, nice and thin but strong as the grain runs right through the bowl. 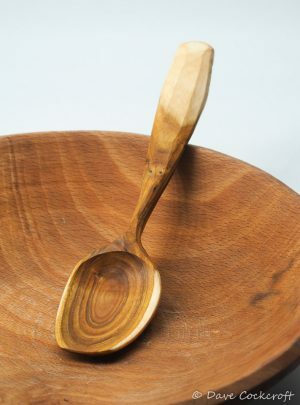 A strong eating spoon from a bent piece of cotinus with plenty of crank and an almost round flat rimmed bowl. A pretty little teaspoon with a feather handle and little bit of ebonising on the end. Could be a child’s eating spoon if you choose to use it that way. 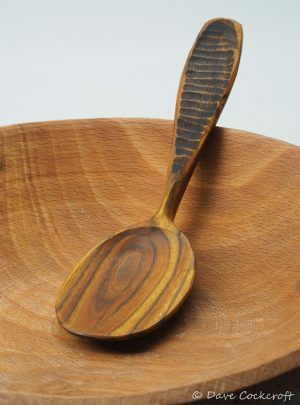 A crook eating spoon with ample crank, ebonised handle and a large strikingly marked bowl. 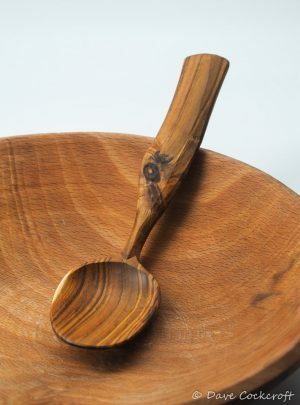 A right handed eating spoon with a smaller bowl some white flashes of sap wood on the bowl edges and handle. A strong thin eating spoon with plenty of crank and an ebonised handle, cleft from a bent piece of the cotinus branch. 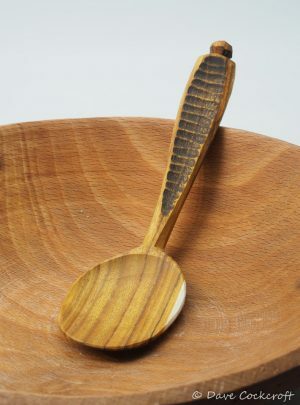 An eating spoon with an pale sapwood handle and bowl edge. 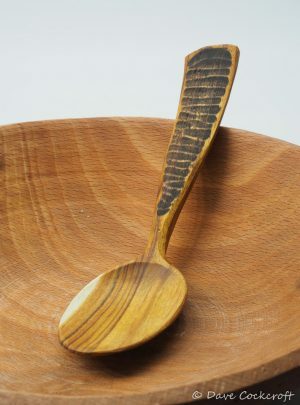 Made from a curved section of wood with long strong grain. I had limited supply of Cotinus, they’re all either sold or for sale on this site – when they’re gone they’re gone. 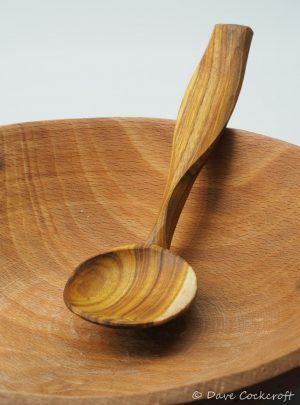 A strong thin eating spoon from a bent piece of cotinus with plenty of crank and a flash or white sapwood on the side of the bowl. 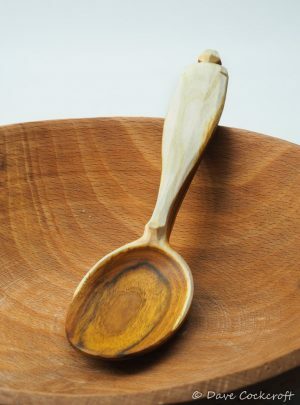 A crook eating spoon with ample crank and a compact flat ended bowl. Sapwood top to the handle has a couple of cheeky little knows peeping through.